LoveAntiques.com wanted us to come up with a creative idea to drive traffic to its site as well as be something that relates to its core business of selling antiques! 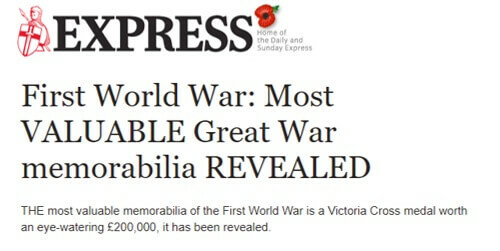 Since 2018 marks 100 years since the end of the First World War, we came up with an idea that was topical and timely – we would unveil the most valuable wartime relics from that period that people could own themselves! Working with LoveAntiques.com, we sought the advice from an expert military historian to compile a list of the ten most valuable WW1 artefacts, with a set of guidelines for prospective antique collectors. 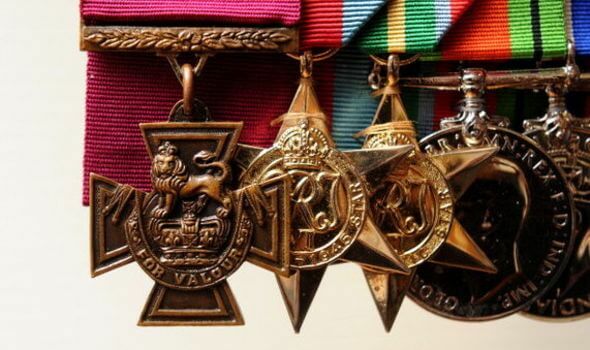 It was revealed that the Victoria Cross Medal could be worth up to £200,000 – and people might have this in their homes, perhaps passed down to them to a relative who had served their country in the war. We worked the list into a press release, along with a link to more information about the valuable memorabilia on the LoveAntiques.com website, and issued it far and wide to our contacts. The PR campaign results speak for themselves. 143 pieces of coverage including The Express, The Scotsman, and numerous regional titles including The Yorkshire Evening Post, Hastings Observer and the Banbury Guardian. From the coverage, we achieved 142 follow links through to LoveAntiques.com’s website! Want to know how we could help you achieve great PR campaign results?